Her gorgeous afro hair is her signature look and her fashion completes it perfectly. She loves shorts, print on print suits and her pointed heels, but at this year's Grammy Awards she went for something very different and elegant that showed us she can rock any kind of look. 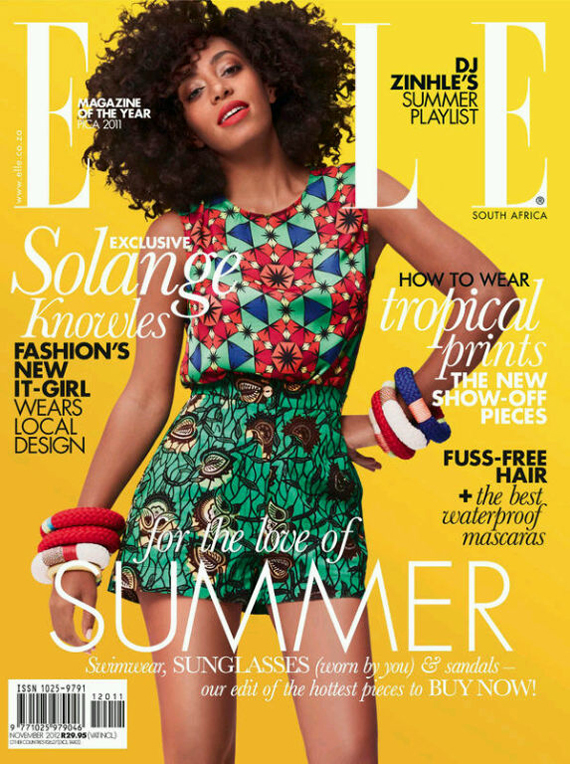 Solange has been on the cover of our local ELLE SA Magazine with her favourite outfit, print on print, bright colours and shorts. Solange has definitely proved herself as a fashion icon and she is a fashionista to be watched in 2013. No comments yet on Style Icon of the Week: Solange Knowles.